Malaka Dewapriya is his name and radio is his game. Dewapriya is involved in a process of re-awakening. 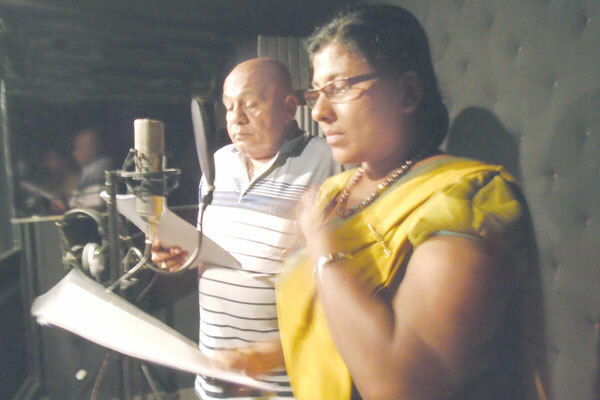 He has taken upon himself the arduous task of rejuvenating the medium of radio plays in Sri Lanka. Daily News met up with Malaka who spoke about his passion and his crusade. “I have produced an audio CD. This CD is titled “KANATA PARAK” (earful of visual) and contains 12 Sinhala medium and 02 Tamil medium plays. The titles of these plays are “Tharuwan Saranai (Blessed by Star)”, Nihon Sepa lebewa( May you attend comfort worldly life in Nihon)”, “Alayaka Damanaya (Love Tamed)”, “Nirabhishekana (Felicitation)”, “Nirwasthran ParamanSukhan (Naked is the best policy )”, “Funsalak”, Roma Ruupana (Perform in Rome )”, “Suwadena Agni (Soothing Fire)”, “RangadenaKapuwo (Trickster Matchmakers)”, “EkathanaKerakuma (Stagnation)”, “Nawanalu Dahama(Tele Actor)”, and “Bashmaanthara ( inter action ),” said Dewapriya. Dewapriya knows the industry well. He knows how it works having been in the field of radio plays from 1995 to date. “From 1995 – 2005 I served in the SLBC as a script writer/actor. So far I have collected my plays in three volumes; “Uge Hisa Ivarai” (off with his head)”, “Nihon Sepa Lebewa” (May you attend comfort worldly life in Nihon), and “Funsalak” (Fun space). The first two volumes are in print now. They have about 33 plays. We have a rich culture and tradition when it comes to radio plays especially at the SLBC. The golden age of radio plays can be traced back to the period of the 1950’s and 1970’s. The only problem is that in this day and age we have let it fall into obscurity,” said Dewapriya. Television and film are now scaling new heights with the arrival of 3D movies. In all this excitement what is to become of radio plays? “With the advent of television and film, the magic of radio plays have been lost. We have come to believe that television and film is superior, that the power of visual language is superior and more powerful. But the truth is that when it comes to developing imagination, creativity, critical thinking and aesthetic knowledge, radio plays have been identified as the key medium. It is identified as the eighth art of the world. If you take the BBC, it has understood and fully appreciated the power and significance of radio plays,” pointed out Dewapriya. In 1997, the BBC completing 75 years of service has recorded that annually it has produced 2000 dramas, 1174 drama hours, with 14,000 actors and actresses and 10,000 script writers. This culture still remains in the BBC even with the development of digital technology. Radio plays have an old fashioned romance to them. The goal is to incorporate this medium in a fast changing modern society. For this Dewapriya is exploring alternatives. “My project is to play them in long route buses, I have selected 300 hundred long route buses and I will distribute these CDs free to them to play for commuters while running. At the end of every play we have included a question related to the play and people who listen to them can instantly send us SMS answer. For every text message we receive we will send a free set of CDs as a gift by post. Also as another medium we are opening a website on the Internet, where people can freely download or listen to them online and can participate in a discussion with us there. We will go to factories, offices, or wherever people gather and make them listen to these plays and then begin a conversation with them. Also we plan to gift these CDs to universities and other education institutes for educational purposes,” explained Dewapriya. A radio play is something much more than physically being by a radio and listening to it. It has become an alternative, contemporary and experimental art. People have become accustomed to downloading radio plays and listening to them during leisure time or during long journeys. One can share it as a sound file and also download it. Radio Drama can be subtly used to explore human behavior and its psychology in contemporary society. Yet like almost everything in society even it has become commercialized. “What has happened today is a consequence of profit-oriented, cheap productions. The artistic power has degenerated and commercial Radios want only instantly produced cheap plays. Some channels bravely told me they do “Radio business”. They do not allow radio plays which are not within their logic of profit making. The major objective of our project is to take radio plays with meaning to Sri Lankan audience through alternative means and let them enjoy it freely,” summed up Dewapriya. The voices of most prominent artists have contributed to this effort: Jayalath Manorathna, Dharmasiri Bandaranayake, Saman Athawudahetti, Lucian Bulathsinhala, Somasiri Liyanage, W. Jayasiri, Buddhadasa Withanachchi, Chandra Kaluarachchi, Ramya Wanigasekara, Rathna Lalani, Damayanthi Fonseka, Lakshman Mendis, Saumaya Liyanage, Kaushalya Fernando, Darmapriya Dias, Deepani Silva, Chandrasoma Binduhewa and several others. 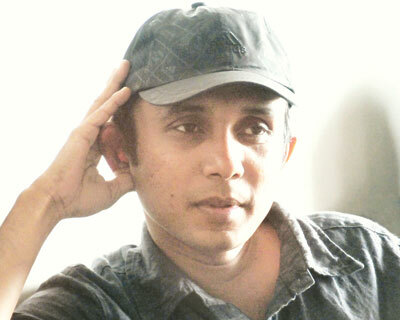 Theme music was created by Lakshman Wijesekara. 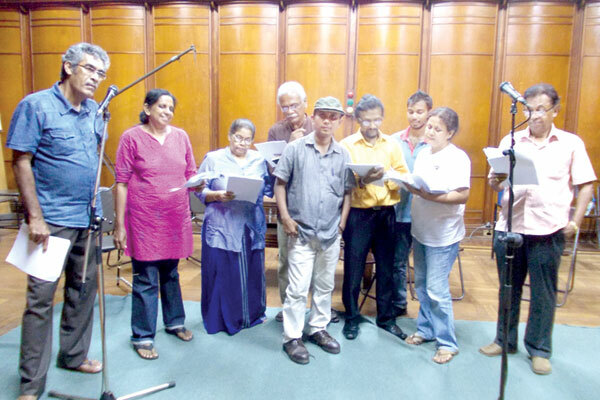 The launching ceremony of the audio CD tilted “Kanata Parak” (Earful of Visuals) which contains 14 Radio Plays will take place at 3 pm on April 7 at the Auditorium of Mahaweli Center, Colombo.